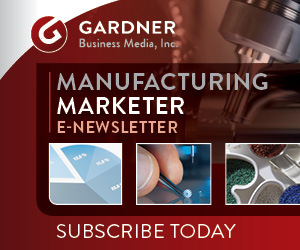 Gardner Intelligence seeks to be a leader in providing forward-looking, actionable insights to manufacturers of all sizes. In today’s technology-driven and highly competitive world, successful businesses are competing in a world that is changing much faster than ever before and has an ever-growing list of influences that can significantly impact any manufacturer’s business if they are not aware of and know what to watch. During the Great Recession of 2007 through 2009, many firms learned costly lessons about the importance of diversifying one’s customer base. Through partnering with Gardner Intelligence many such firms have learned if and where their pre-existing capabilities can be leveraged in other end-markets. Will I be price competitive? Which brands are prospective customers already aware of and do they know my brand? What matters most to prospective customers? What factors are and will be driving the direction of this market in the future? How competitive is the marketing and advertising in this market? Will an investment in marketing and advertising earn me outsized returns and help build awareness of my company? Does my existing distribution system geographically align with consumers in this market? 1.) Economic and market insights supported by publicly available data and bolstered with Gardner’s proprietary data. 2.) Marketing and branding knowledge which uncover what current and prospective customers think of your company but what they also think of your competitors. In many instances companies worry about what their customers think of them without realizing that it must be in the context of what they also think of your competitors. The Gardner Intelligence Team, composed of dedicated survey researchers, data scientists and economists (from front left: Will Thackery and Jan Schafer, and from back left, Mike Shirk, Michael Guckes, Brian Palmer and Steve Kline), collect proprietary data otherwise not available and bring it under the review of a company with 90 years of manufacturing insights. Lacking expertise in ANY of these areas increases the risk that a company eager to expand will end up with an expensive, failed initiative. This is where having a team that can collect data and analyze each of these areas separately AND collectively makes a substantial difference in the value and outcome of such engagements. Gardner’s team of dedicated survey researchers, data scientists and economists makes this possible by collecting proprietary data otherwise not available and bringing it under the review of a company with 90 years of manufacturing insights. Merely providing clients with overwhelming tables of numbers about an industry may appear impressive, yet it fails to provide a strategic call to action and most of all cannot link activity with a reason for success. The success of Gardner’s partnerships with firms is evident by the testimonies from some of the many projects that major firms across the U.S. and worldwide have conducted with us. Much of the manufacturing industry lacks access to the kinds and types of data that industry leaders need to make strategic, profitable decisions for their business. Gardner’s work supplements the hard-earned business knowledge and operational expertise of experienced manufacturing business leaders.